Today, September 14, 2018, is the last day to register your Chase Freedom to earn 5x Ultimate Rewards for the past quarter with Lyft, and at Walgreens and gas stations that you can transfer (circuitously) to Aer Lingus, British Airways, Flying Blue, Iberia, JetBlue, Singapore, Southwest, United, and Virgin Atlantic. Note that the Freedom is different than the Chase Freedom Unlimited card, which Scott reviewed here. If you register by today, your Freedom purchases will earn 5 Ultimate Rewards per dollar spent (up to the bonus cap of $1,500 per per quarter) on purchases at gas stations, Walgreens, and with Lyft retroactively from July 1 through September 30, 2018. Tomorrow, September 15, you will have the chance to register for 5x points on purchases at wholesale clubs, department stores, and through Chase Pay. With the Chase Freedom card, you can earn 5% cash back on your first $1,500 in purchases in bonus categories that rotate quarterly. 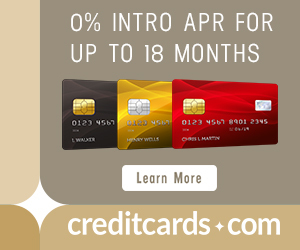 Although the chart says 5% cash back, you actually earn 5 Ultimate Rewards per dollar that can be redeemed for cash back at a rate of 1 cent each– that’s why all the marketing of the card features cash back language. BUT if you have a Chase Sapphire Preferred, Sapphire Reserve, or Ink Business Preferred card, there is a second way of redeeming the Ultimate Rewards: transfer them to your Sapphire Preferred, Sapphire Reserve, or Ink Business Preferred account and from there to airline miles or hotel points. You can find a list of example merchants that qualify/don’t qualify as a gas stations here. Purchases from traditional gas stations count. Convenience stores where gas is not sold, grocery/warehouse stores, and truck stops do not count. As for Walgreens purchases, anything bought at Walgreens or Walgreens-owned pharmacy Duane Reade count. Deliveries and purchases from Rite Aid do not count. And as for Lyft, as long as a charge is not for a Lyft gift card but an actual ride with Lyft, you will earn 5x points for it. If you haven’t maximized the third quarter’s potential bonus points yet, there is a work around that enables you to spread out whatever amount of spending you have left do over the course of a more reasonable amount of time– gift cards. First let me remind me you that this gift card workaround will not work for Lyft. Lyft gift cards DO NOT earn the 5x category bonus. But many gas stations offer gift cards that either don’t expire or at least give you a longer period of time to spend the money, for either the gas station itself or for a third party. Pharmacies also often offer third party gift cards and even Visa gift cards, but be aware that not all Pharmacies allow you to buy gift cards with credit cards and if they do, buying such Visa gift cards with a credit card will often incur fees. For most, gas station credit cards are the easier/safer bet. The same practice of widening the time window you have to maximize category bonuses via gift cards can typically always be applied to the Freedom’s category bonuses, so you ideally you should be maxing out the $1,500 in purchases each quarter. Your Freedom card will not automatically start earning 5x Ultimate Rewards each time the quarter changes. 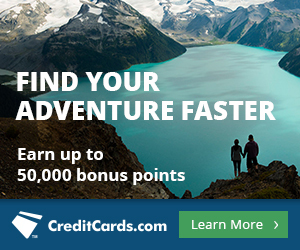 You have to you register your card at chase.com to activate the category bonuses. The deadline to activate the 3rd Quarter Bonus is TODAY, September 14, 2018. That’s either $450 cash back, or 45,000 Ultimate Rewards transferrable to nine types of airline miles or three different kinds hotel points if you also have a Sapphire Preferred, Sapphire Reserve, or Ink Business Preferred account you can move your points to. If you are planning on opening the Chase Freedom card and don’t already have a Sapphire Preferred, Ink Business Preferred, or Sapphire Reserve card, you should consider opening one to expand your Ultimate Rewards redemption possibilities. Not to mention the current sign-up bonus offers of 50,000 Ultimate Rewards for the Sapphire Preferred and Sapphire Reserve and 80,000 Ultimate Rewards for the Ink Business Preferred can take you far. Credit Card links have been removed from posts and added to the menu bar at the top of every page of MileValue under the heading Top Credit Cards. Charges on the Chase Freedom card for Lyft rides, Walgreens purchases, and gas station purchases made between July1 and September 30, 2018, will earn 5% cash back or 5x Ultimate Rewards if you have a Sapphire Preferred, Sapphire Reserve, or Ink Business Preferred. Make sure you register your card here by tomorrow if you want to earn 5x points retroactively for this past quarter. Next articleSale on New Direct Singapore Awards: The World’s Longest Flight!